Thursday 24 January – 6:30pm arrival for 7:00pm start. Venue to be confirmed. 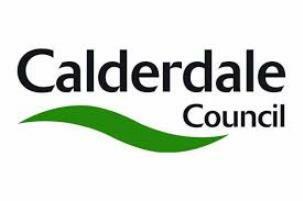 This entry was posted in Get Involved / Have Your Say, Greetland & Stainland, Jan and tagged Calderdale Council, Have your Say, Ward Forum, West Yorkshire Police. I can’t make the forum due to caring commitments but would like to see the parking issue around Holywell Green school been addressed. I’m well aware that traffic wardens visit now and again but has they have to be visible it’s all a bit pointless because no one parks where they shouldn’t when they see them. There is also an issue further down by the school crossing patrol..it says “Keep Clear” and people do but unfortunately there are a few people who choose to park right up to the lines..this is downright inconsiderate and extremely dangerous for all pedestrians..especially the young children going to and from school. I’d also like to see something done about parking at the traffic lights in West Vale (across from the co-op)…why isn’t there double yellow lines there? All these issues are an accident waiting to happen, I’ve reported the school parking problem many times but nothing gets done..maybe when a child is injured or worse someone will sit up, take note and actually do something!